It began in October 2014, the largest construction project in our company’s history. 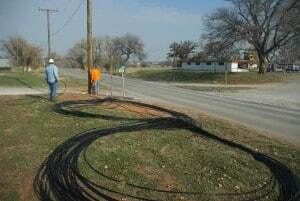 We built a fiber optic line to almost every house and business within a roughly 2-mile radius of our office in Carnegie. 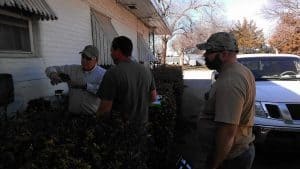 We completed this project in 2017. 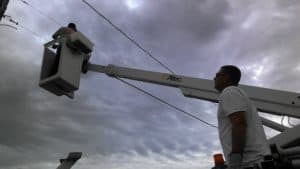 We have connected over 825 customers to our fiber optic network. 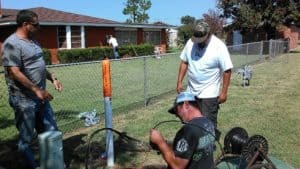 With our fiber to the home project, we will be able to offer our customers internet speeds up to 1 gigabit per second, which is the among the fastest speeds available anywhere in southwest Oklahoma. The following image gallery shows our progress as the project moved along from construction, testing, cut-over, completion, and removal of the former copper-based facilities. 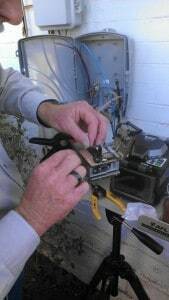 Employee Jimmy Ridgeway prepares to cleave a fiber prior to splicing it. These huge lengths of fiber optic cable lay on the ground in a giant “figure-8” pattern as our contractors prepare to pull them into a conduit under the highway. 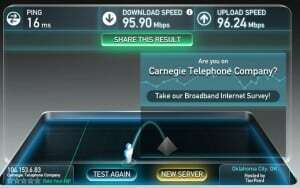 This SpeedTest.net result shows the power of our new fiber optic network. This customer was configured to provide 100 megabits of data upstream and downstream. 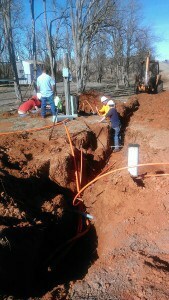 Our contractors and employees worked on a warm January day to get a new line hooked up to a customer to bring them ultra-fast internet. 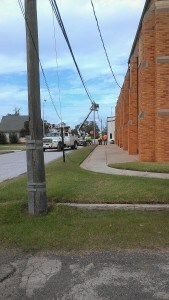 Piecing together new conduits and old lines is part of our massive network upgrade project. 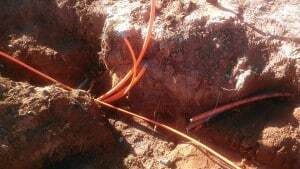 Two miles south of Carnegie, these orange “pipes” (we call them innerduct) prepare to be filled with new fiber optic cables going to customers. 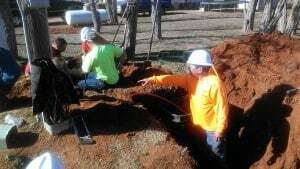 Two feet beneath the ground we laid new conduits to customers that will eventually bring new high-speed fiber internet and other advanced services. 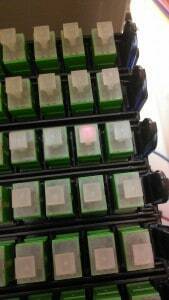 See the connector that’s lit up with the red light? 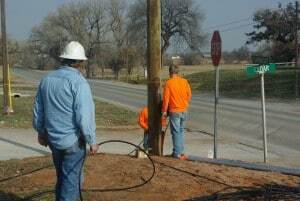 It means the first successful test of a fiber line to a customer. This connection is to the Carnegie Park. 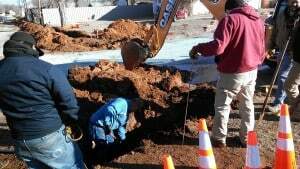 During a directional bore under East Birch Street, our contractors cut into a water line no one knew was there. 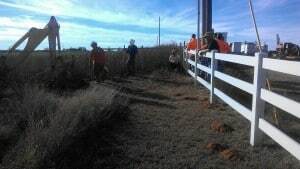 Workers from the Town of Carnegie work at repairing the line. 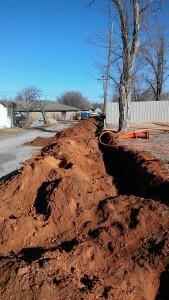 This alley behind the Carnegie Nursing Home has a huge trench cut open in order to put the new fiber cables in the ground. 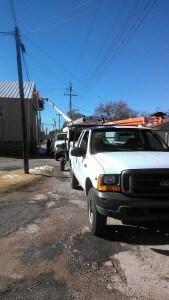 Despite some cold weather and snow, progress continues on our Fiber project in the alley north of Super C Mart.